Root Xiaomi Mi Max Without Using Computer . 1 Root Xiaomi Mi Max Without Using Computer . 1.1 Xiaomi Mi max Rooting Guide . Do you want to root your Xiaomi mi max ? And that too without using pc ? If yes then you are at right place . Today we are here with the rooting guide of the Xiaomi’s biggest smartphone the Mi max . Xiaomi released the Mi max last month along with the Miui 8 which is the latest version of Operating system from Xiaomi . Mi max is the biggest device from xiaomi till date . Mi max comes with a 6.4 inch Hd screen which makes it a huge smartphone no doubt . Along with a big screen the smartphone also features pretty good specifications Like the snapdragon 650/652 processor coupled with 3/4Gb of ram which lets user do multitasking easily . So today in this guide we will tell you the way to root Your Mi max Easily . Xiaomi Mi max Rooting Guide . 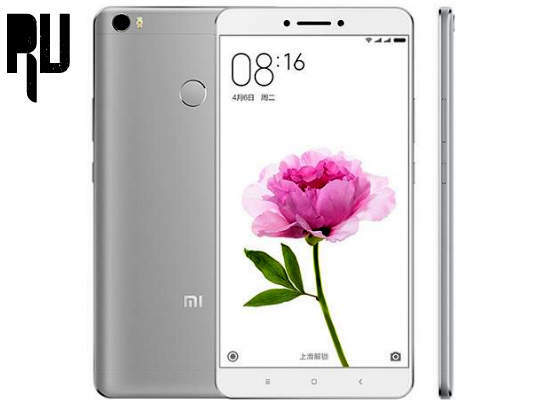 Before going to the rooting guide lets have a quick look at the specifications of Mi max , Xiaomi mi max comes with a 6.4 inches display with ( 1080X1920 ) with 342 pixels per inch , for the protection of the display there is corning gorilla glass 4 . In the Hardware segment there is Snapdragon 652 processor which is a tru 8 core processor clocked at 2.2ghz , Under the hood there is 4gb of ram . For capturing images there is a 16 megapixel primary camera unit and a 8 megapixel front camera unit for selfie . For power there is a 4850 battery which easily gives 1 day backup . Make sure your Mi max is fully charged . Make sure the device is connected to Internet . There should be Cwm Recovery or TWRP recovery installed on your Mi max to root the device . After rooting the device the warranty will get void . It is necessary to follow each and every step correctly . How to solve automatically rebooting problem in android Smartphone . Download Supersu.zip for android Marshmallow from Here . Now place the zip in the Internal memory . Now Boot the Device in TWRP recovery mode . After the device gets booted in Twrp mode . Now Choose the Supersu.zip you placed in the Internal Memory . Now The Rooting procedure will start . Now your Mi max Is rooted successfully without using Pc . Now reboot your Device , You will find a Supersu app in Your app drawer Which means your device is successfully rooted . However to check more you can download the App ” root checker pro ” from playstore and check if it is rooted or not . So this was our guide on How to root Mi max easily , i hope this guide helped you in getting root privileges on Xiaomi max . is rooting erase your phone data ? No it doesn't erase your data but still it is recommended to make a backup .